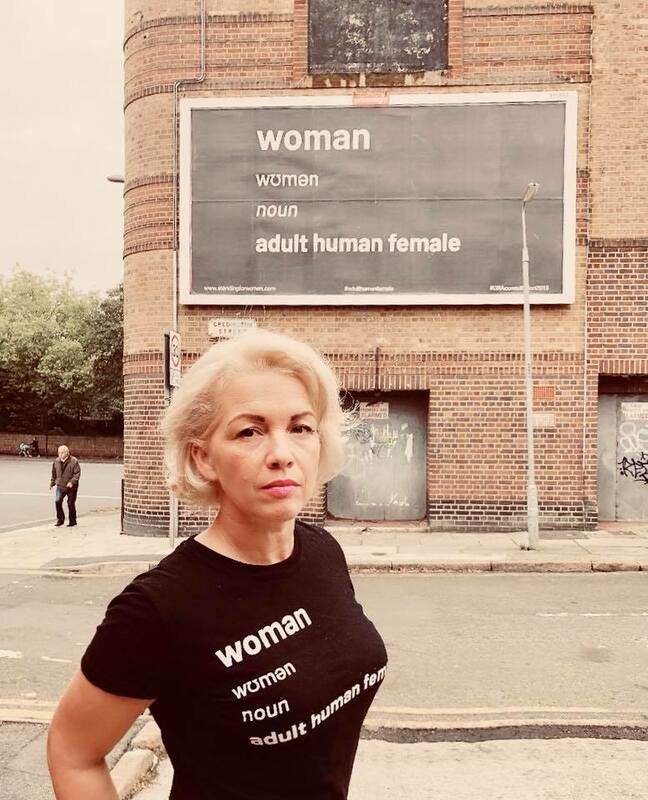 Meet Kellie, aka Posie Parker, who sells t-shirts printed with the dictionary definition of ‘woman’. 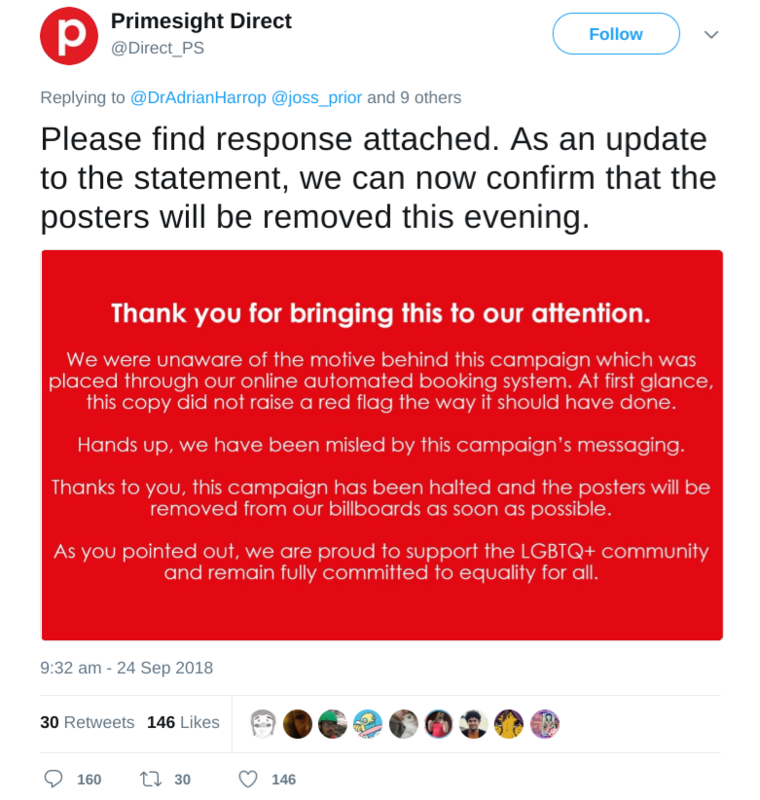 From the profits raised, Posie paid for a billboard displaying the same slogan at a site in Liverpool, just in time for the Labour party’s annual conference in the same city. Women are a distinct biological class whose legal rights and protections are currently under threat. The Labour party has recently taken it upon themselves to redefine women, to include any man who simply declares himself to be a woman. This has lead to men (adult human males) being included in All-Women Shortlists, an initiative which was set up to counter the historical disadvantage that women have faced and go some way towards attaining equal representation for women in politics. 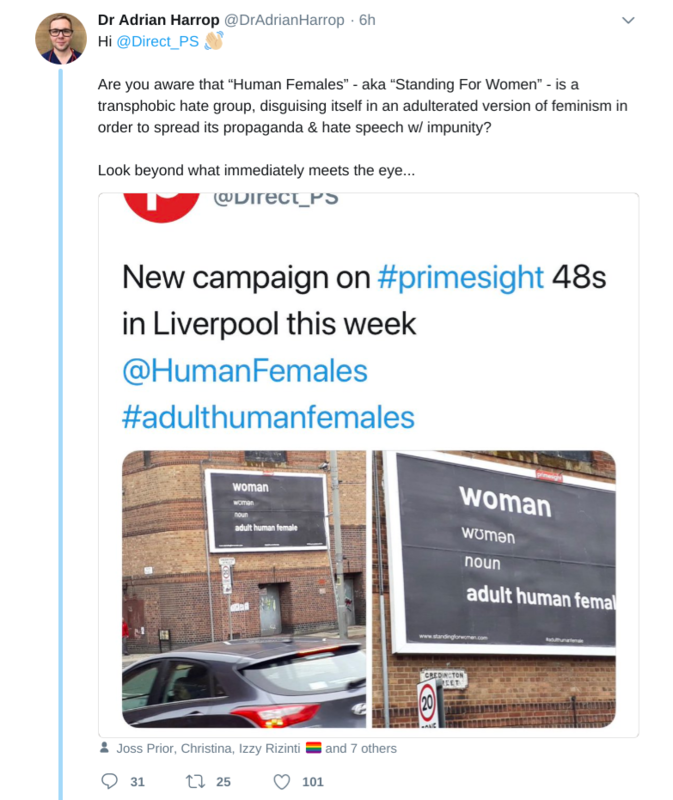 That the billboard was in place for the National Women’s Conference was particularly significant and it communicated an important, and factual, message. Primesight Direct said, “At first glance, this copy did not raise a red flag…” Well no, why on earth should it? Whoever would have thought the Oxford English Dictionary’s definition of ‘woman’ would be in any way controversial or offensive? If the infamous UKIP queues of immigrants billboard was not a problem, why is stating blindingly obvious biological facts now a problem? Political discourse in this country has reached a new low point whereby defending women’s rights is deemed to be hateful and transphobic. (b) become walking billboards with our own t-shirts? This entry was posted in Articles and tagged adult human female, billboard, Posie Parker, woman by Admin. Bookmark the permalink. How can stating a fact be transphobic – crazy. ‘fully committed to equality for all’ except if you are a biological female of course. I like the idea of walking billboards- cheaper and not as easy to remove.